Yep...I pretty much nailed the colors with this Classy & Elegant interpretation! You can never have enough wedding or anniversary cards, and this would qualify for either with its lovely sentiment and elegant embossing. I just love these tiny rolled flowers...fun to make!!! And who can resist a shaker card? Ok, this is the most elegant and exquisite shaker card I have seen. Mostly shaker cards seem playful but this one is just classy and beautiful!! 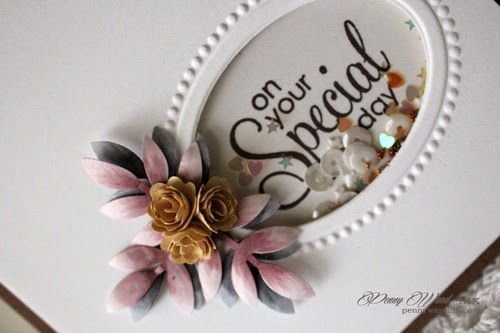 Love the flowers you added and just how when you add details it is like icing on the cake!!! Hope your weekend is amazing!!! This is really so elegant, I agree,and so classy for a shaker card! The flowers are a beautiful touch,too. What a great entry for the challenge. Thanks for joining us at The Card Concept! Stunning! Elegant and a card to treasure for sure. Bravo!! A very elegant card indeed!!! Oh, how pretty. Love the simple, but elegant look. Sweet shaker fillers. Oh I love that frame die! You really did get those colors spot on! Oh I love this!! Love the CAS design but the elements really make it pop. Soo gorgeous! 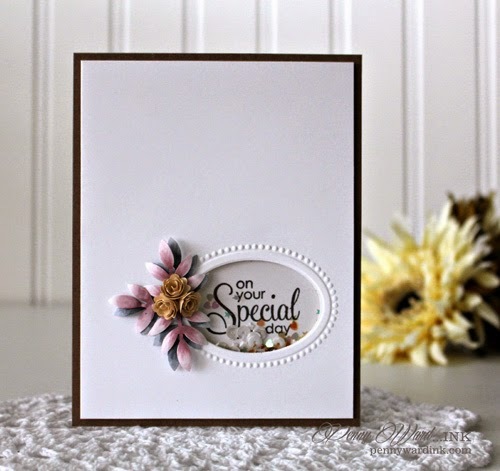 Your card really caught my eye at Virginia's View; absolutely love the elegance of this very cas card. So stunning! 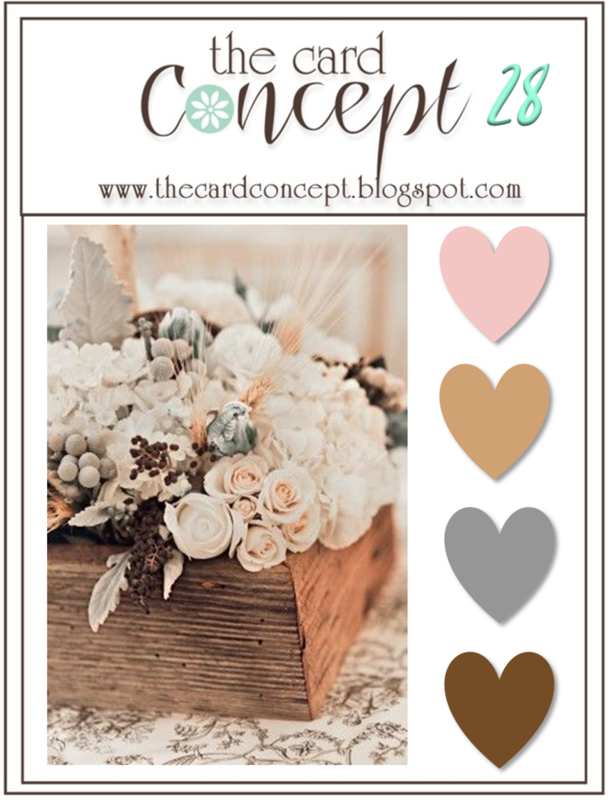 I love the soft colors and elegant vibe of this card! Gorgeous! Your card is simply gorgeous. Love the clean and simple design, and the soft colors is great choice! What a fabulous idea to use the frame for a shaker card. This is gorgeous! WOW!! This card is so beautiful!! Love it!! Thank you for joining us at The Card Concept!!! Penny, your card is simply and powerfully gorgeous! Thank you for sharing it with us at The Card Concept! Such an elegant shaker card! Thanks for playing along with us at Scrapy Land Challenge #11! Beautiful, elegant, and perfect! A gorgeous, gorgeous card! Thank you so much for joining us again at Scrapy Land Challenges! Beautiful and elegant, Penny! I have pinned your card to use as a sample for me one day. I love it! Even your little shaker elements are delicate! Absolutely beautiful! I love the shaker you've created and your pretty flowers just pop off all that white! Thanks for joining us at The Card Concept! Love the shaker element and all. that. space! Gorgeous design, Penny! 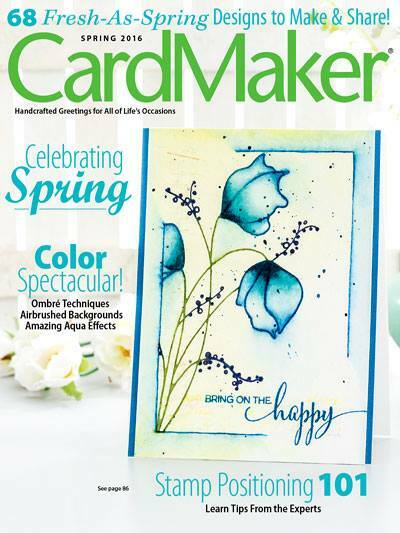 So glad that you join the fun over Virginia’s View “Shaker Cards” Challenge! Absolutely beautiful and very elegant card.